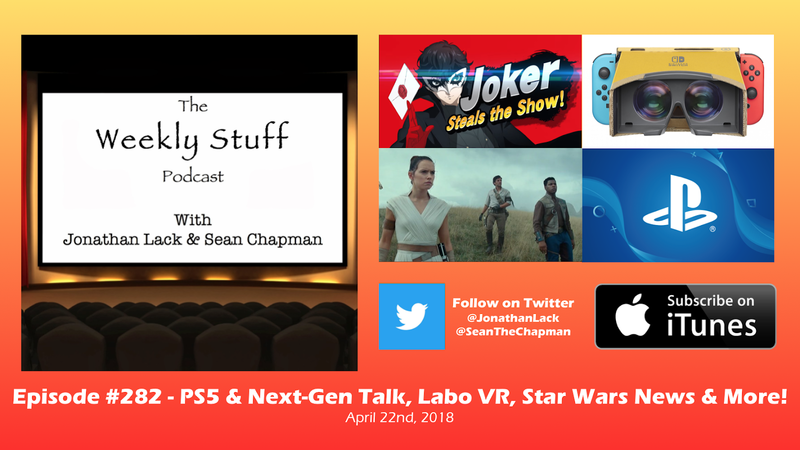 The Weekly Stuff Podcast #282 – PS5 & Next-Gen Talk, Labo VR, Star Wars News, and more! We catch up on two weeks’ worth of news, from the first trailers for Star Wars: The Rise of Skywalker and the video game Jedi Fallen Order, to the unveiling of the Disney Plus streaming service, to the confusing reveal of the Xbox One SAD edition. We also talk about the addition of Persona 5’s Joker to Super Smash Bros, and Jonathan gives first impressions of the oddity that is Nintendo’s Labo VR. And for our main topic, we dive in to the first official details of the PlayStation 5, and talk about how the next generation of consoles is shaping up – what’s the strategy, what’s working, and what seems confusing? It’s a packed show this week, as we give impressions of Super Dragon Ball Heroes: World Mission, the first English localization of the Japanese card battle sensation, discuss Kotaku’s bombshell report on the troubled development of Bioware’s Anthem, break down all the problems with Funimation’s dubious new Dragon Ball Z 30thAnniversary Blu-ray set, and weigh in on the very stupid controversies currently miring the video game discourse – namely, whether games like Sekiro should have difficulty options, and what effect the Epic Games Store is having on the PC market. 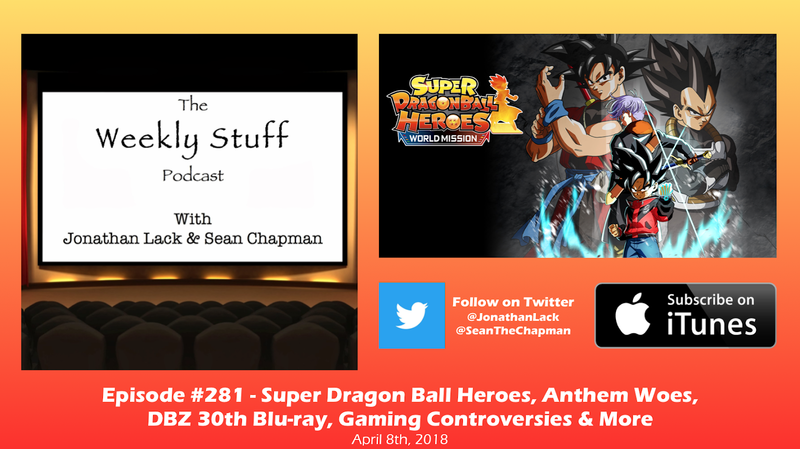 We also reach peak bafflement in our ongoing confusion over the existence and content of the musical Cats, go over some strange Nintendo rumors, and much more. 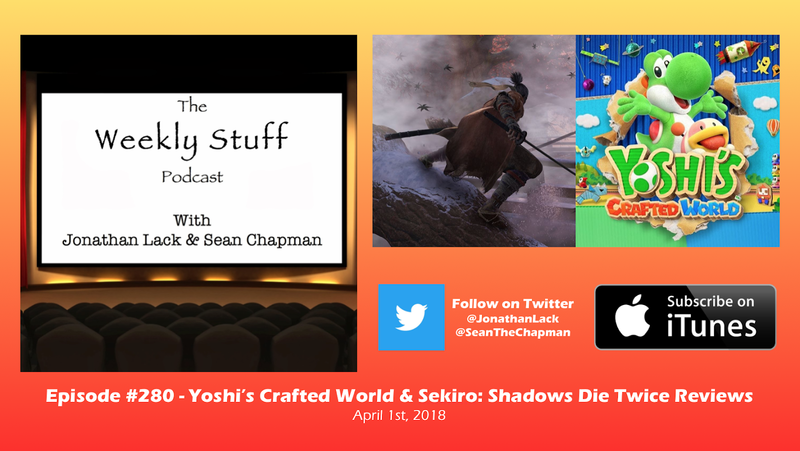 This week, we review Sekiro: Shadows Die Twice and Yoshi’s Crafted World, two games that couldn’t seem more different, but weirdly wind up teaching a lot of the same lessons in how to create a quality video game. Before that, we also kick back and talk about some Stuff – like Jonathan’s first time playing the cult classicCastlevania: Rondo of Blood, or trying to explain the plot of Season 3 of The Flash to Sean – and hit some recent news items, like the passing of the great Agnes Varda, rumors about Nintendo’s new Switch hardware offerings, and the single strangest streaming video announcement we’ve ever heard (that last one, from 1:26:25 to 1:35:21, is one you definitely won’t want to miss).